Discover DeCrypt wishes you a very happy Christmas and all the best for 2018!! 2017 has been a busy and exciting year for Discover DeCrypt as we have gone through the preparation necessary before the start of capital works. As ever, we are very grateful for your continued interest and support! We will be starting the New Year with the announcement of our contractor and cannot wait to see what major changes 2018 will bring. But first, we will be taking a break for Christmas. The Project Office will be closed between 21 December and 2 January inclusive. The project team and trustees wish all of you a peaceful and festive Christmas and good wishes for the New Year! Would you like to take a pew? Not all our pews will be re-instated after renovation and we want to find good homes for them. So this coming weekend (8th-11th December) we will hold a Discover DeCrypt Fundraiser Pew Auction. Bidding will take place between noon on Fri 8 Dec and noon on Mon 11 Dec. More details on the linked flyer! Ever been in a film? Have an hour to spare on Saturday 2 December? We are shooting a professional promotional film on Sat 2 Dec to show the project while the buildings are closed and to have a record of the ‘before’ when it re-opens. 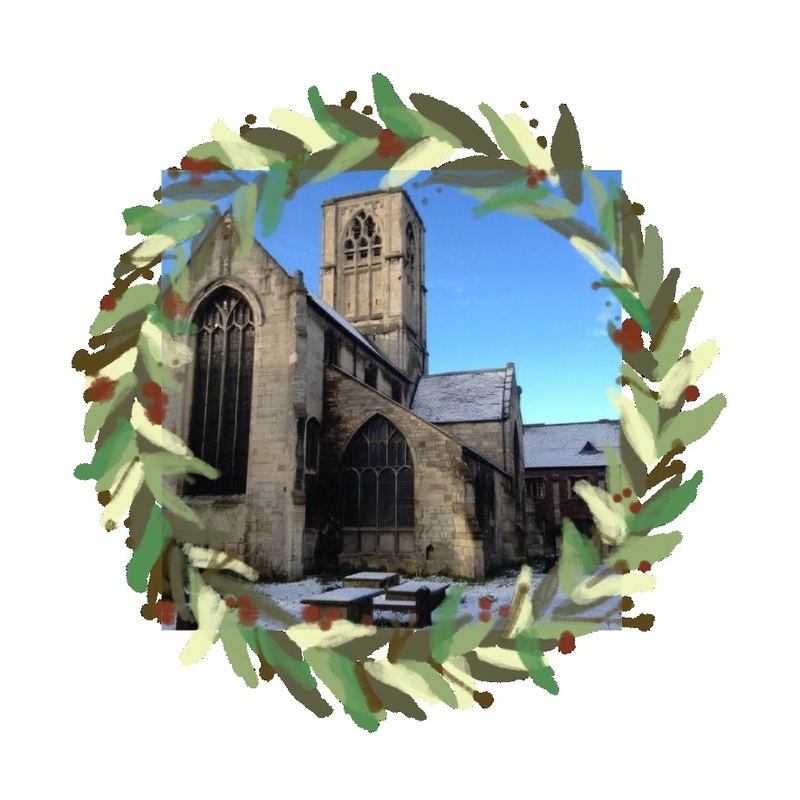 We need people to fill up the church between 9.45-11am and we need children of all ages for a shot at the storytelling bench in the churchyard from 11am – noon. Don’t miss out on your moment of fame! More info here. Please contact mail@discoverdecrypt.org.uk, so we can keep track of numbers! One of Gloucester’s “unsung historical treasures” will be restored to former glory as a major regeneration project gets underway. The churchyard at St Mary de Crypt in Southgate Street will be closed for more than a year as work at the centuries-old church gets underway. We had a great week at the end of November with the exciting and educational dig in the Old Crypt Schoolroom. Thanks to all the volunteers who came to help and to Kevin and Nick from Avon Archaeology Ltd who took so much time to share their archaeological wisdom! The volunteers found some fantastic small finds including a toy canon and writing slates and styli that help us imagine the schoolboys who once worked and played here! There are more photos from the dig by clicking on the photo below which will take you to the Discover de Crypt Facebook page. October Project Update: Good things come to those who wait…! Well – it’s all starting to happen! After months of behind-the-scenes work, we are one step closer to appointing a contractor: we’ve shortlisted five who will be asked to submit their detailed proposal and costs. Once the Heritage Lottery Fund have approved our preferred contractor, we’ll be able to sign on the dotted line! We hope to be able to announce the successful bidder in early December, with work programmed to start on site in the New Year. The full October newsletter is available here and more information on the Discover DeCrypt project is available here. Nick Dyer, Headmaster of the Crypt School and Bob Tims, President of the Old Cryptians Club are making a joint Appeal to Cryptians for the funds necessary to allow the Discover DeCrypt Project to get underway, following the successful award by the Heritage Lottery Fund. Time is short. Please act NOW. The Project Team are delighted to announce that a substantial grant of nearly £1.4M has been awarded to the Discover DeCrypt project. 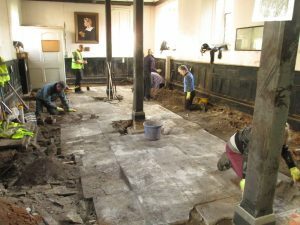 The renovation and regeneration of the ancient Crypt Schoolroom and St. Mary de Crypt church has thus taken a big step forward.